The Banyan House is nestled among the trees on beautiful Casey Key. This is the main three bedroom house with a two bedroom cottage attached. Both properties can be rented together and would be a 5 bedroom house. This half is a two story beach house with a hot tub on a deck overlooking the private gardens. 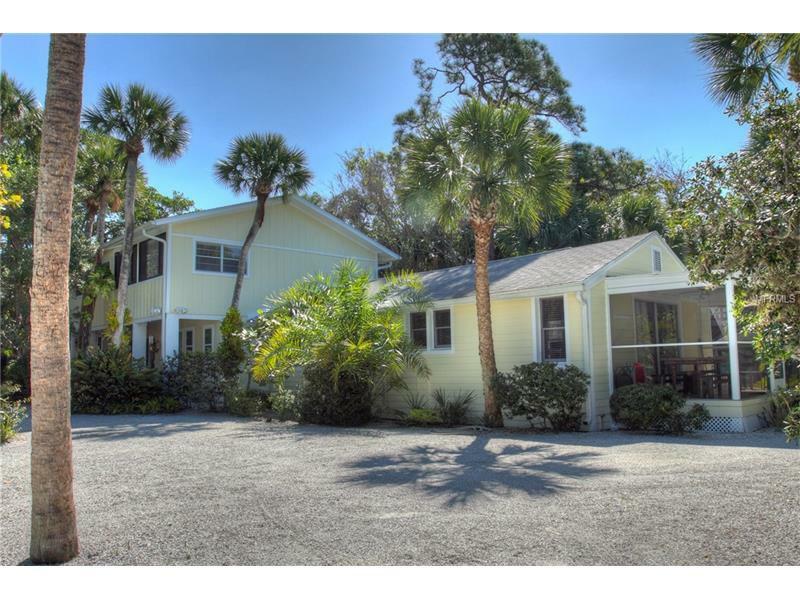 Enjoy this hideaway in the center of Casey Key down Sandspur Lane. There is a community day dock for a boat or canoe tie up, sit and watch the birds from this beautiful spot on the ICW. A short walk past a couple of houses brings you to the private beach and all the peace and solitude that offers. Three bedrooms upstairs with one bathroom upstairs and powder room downstairs. Available in the summer for $4,000 per month. CASEY KEY, BEACH COMMUNITY, SARASOTA, VENICE.